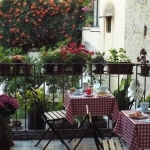 Hourly Rooms in Naples Italy - If you are recently looking out for the best room by hours in Naples then do not look any further. Hourly rooms are hitting the trends these days leaving behind all the stigmas associated with it. Naples is a beautiful place with all the stunning views and locations. Apart from the nature and beauty, it has the collection of some of the best day use hotels for the travelers. To book the best day use rooms in Naples, you can browse us at Bakuun.com anytime to get the best deals and rooms. Day use rooms are of great benefits in numerous ways for both the customers and hotel owners. These are the type of rooms where you can stay for the exact time you want and you will be charged accordingly. Mostly, in the older days, people used to spend a whole lot of money on day hotels even when they needed the room for few hours. But now, the time is changing for the good and especially the hotel industry. There are way too many reasons for booking an hourly room apart from a romantic rendezvous. The reasons could be anything for example, long hauls flight, early landing before meeting, freshening up etc. to name a few of them. The demand in the day use rooms are increasing immensely for all the good reasons. Naples is a stunning place and this demand comes with no wonder in the respective place. Below is the list of some of the other major reasons that triggers the demand for the daytime hotels in Naples. The tourist count increases every year because of the wide variety of tourist attractions present in Naples. The official count of tourists in 2015 was 1.8 million which 3% higher than the year was before. This percentage keeps on increasing every year, eventually growing the tourism in the city. Yet another reason that contributes in the demand for the daytime hotels is that people find it convenient to spend money on the time they spent in the hotels. More hotels are now offering this service because of the mutual and equal benefits that hourly rooms provide to the customers and owners. 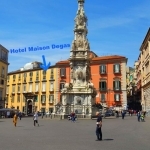 Why should you consider booking a daytime hotel in Naples? If you are a day time –explorer or a frequent traveler or frequent business travelers, then you might understand the importance of staying in the hotels for a few hours. But the stay in these rooms does not only limit to a few group of people, but everyone. Day use hotels are perfect for everyone who does not want to pay for a full day room. Below is the list of some other valid reasons that will convince you to book a day use room right away. Day use hotels let the travelers to rest before an evening flight or to freshen up to go to an important meeting. Hourly rooms help you to stay in the rooms for long hauls or even short hauls. Daytime hotels let you make your dream come true of living and spending some time in the luxury hotels and avail the various luxury benefits and facilities. Day use rooms are perfect for the explorers and travelers. They also are very couple friendly hotels. 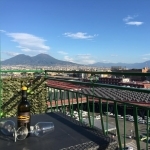 Why should you choose Bakuun.com for the best Day Use hotel Rooms in Naples? We at Bakuun.com are completely aware of the importance and benefits that hourly rooms have in store for the people. Naples except for offering various stunning locations also is the hub for some beautiful hotels that have hourly room service available. Unlike the older days, people now can book the rooms for a few hours and will be charged accordingly regardless of the hotel they are staying in. So, if you have an upcoming trip to Naples, then this is the right time to browse us to book the top rated hotel rooms for few hours in Naples.